The luxurious geometric, metallic lifestyle items to glam up your bathroom. For Roanne Innes, it all began over a coffee in mid-2014. The funny thing is, she doesn’t even drink coffee! 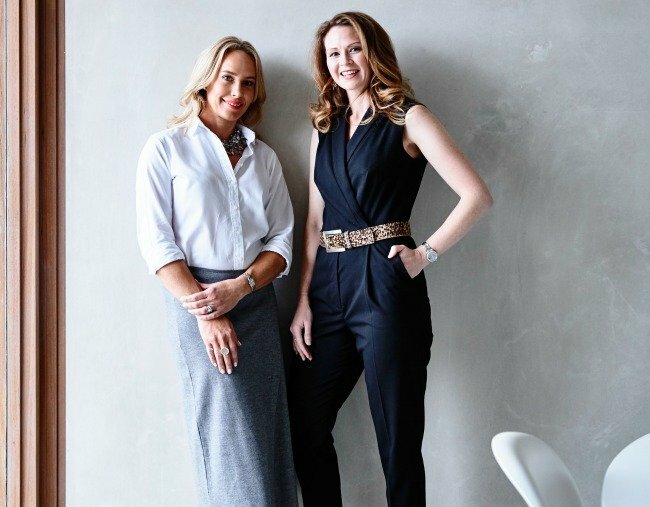 Ziporah Lifestyle began with one idea to create luxurious items that she wished existed and in 2014 she teamed up with Carla Williams to achieve exactly that. 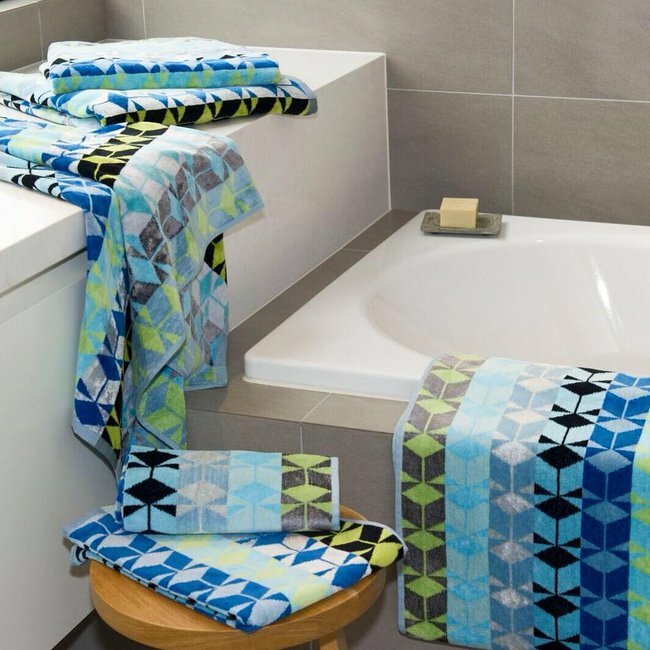 Ziporah Lifestyle’s first collection centred around the bathroom and bathing spaces. It is an often neglected area of the home but is the one place you retreat to for relaxation and comfort. 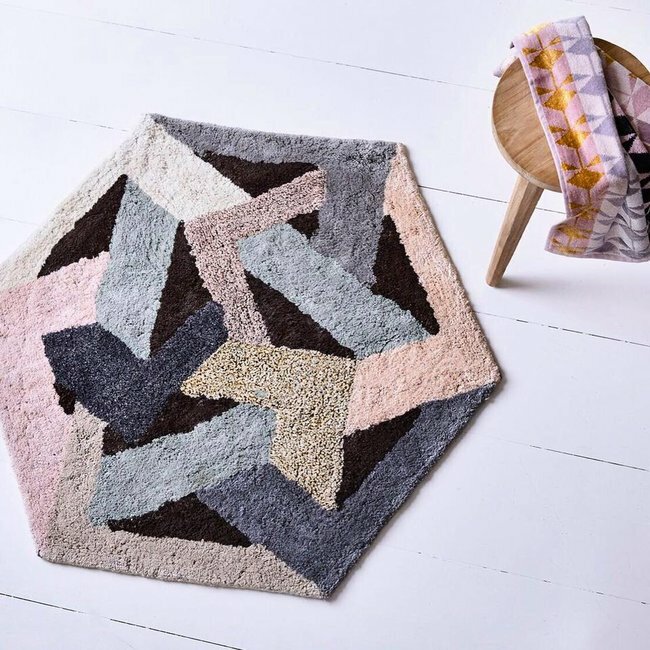 We wanted to transform bathrooms with gorgeous towels and stunning floor rugs that not only feature colour and geometric designs, but metallic too. Carla Williams (left) and Roanne Innes (right). Image: supplied. After months of worldwide searching we found the perfect fibre. 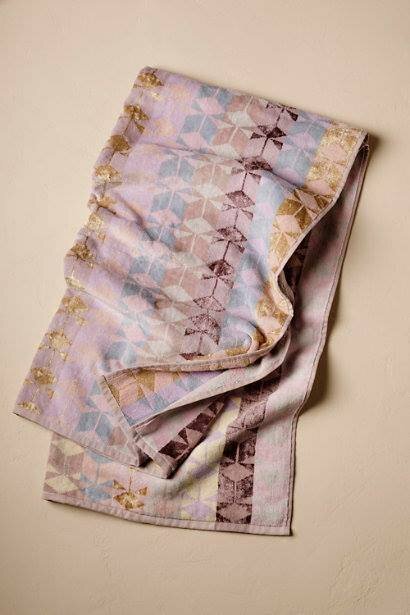 It was one that could be woven with premium cotton, highly absorbent, soft and when sheared gives off a beautiful metallic sheen. More recently, we have taken our signature geometric and metallic design and incorporated it into gorgeous items for the dining and living room. I came from 20 years of corporate pharmaceutical experience and was fortunate enough to have gained amazing experience and skills across a number of roles in sales management, marketing and commercial operations. It was either this or start an MBA. I now know that an MBA would have been the easier choice, but certainly not as rewarding. I had a strong desire to expand my knowledge in fields outside the pharmaceutical industry. Ziporah is a Hebrew name meaning bird. Birds symbolise freedom. They can walk on the earth and swim in the sea as humans do, but they also have the ability to soar. Describe the staff/ownership structure of Ziporah Lifestyle. I have a business partner and we both have an equal share of the company. We are both heavily involved in the creative vision and future direction of our brand. We are a self-funded business and we both equally dipped into our savings to start our dream. Be prepared to work every day, even on your holidays! Most of the time it feels like two steps forward one step back. Have a detailed partnership agreement in place and do your due diligence. It is so much more work than you think. Be prepared to learn things you didn&apos;t think you needed to know and be prepared to sacrifice much more than you think. Never be afraid to ask questions. There are super amazing people out there who want to help you and give you advice and support. We have a saying too, it&apos;s called "flawesome." Be awesome with your flaws. Our biggest flearning was when we officially launched at NYNOW in 2015. It is the biggest US homewares trade show... in NEW YORK! Our USA sales agent called us in 2014 and said she had a place for us at NYNOW. But there was NO WAY we would be ready and we couldn&apos;t rock up with two rugs and some pictures. But we said yes. To cut a long story short, Carla and I arrived in New York (in between blizzards) with two rugs, some pictures, massive dreams and NO TOWELS. The first design of our towels arrived in our hotel room 12 hours before the show opened. It wasn&apos;t quite what we wanted and the colours were out, but the design was spot on and we had metallic. The rest of our towels arrived during the show. Fast forward to the last day of the show, we were commended and congratulated for out innovation and design. The head textiles buyer from Neiman Marcus stopped by. 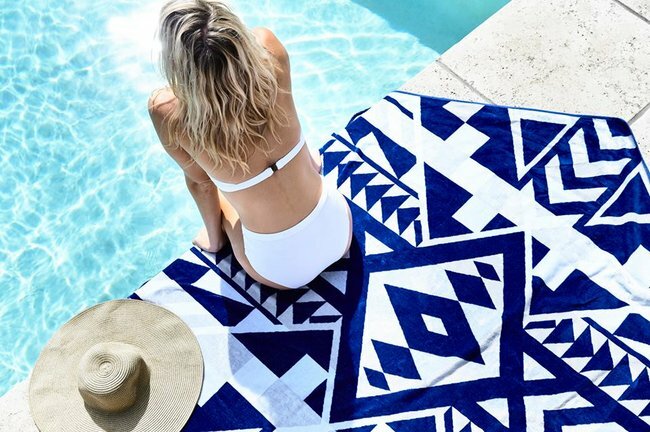 She loved our designs, and ended up have two of our towel designs and both rugs on their online store for over three years. 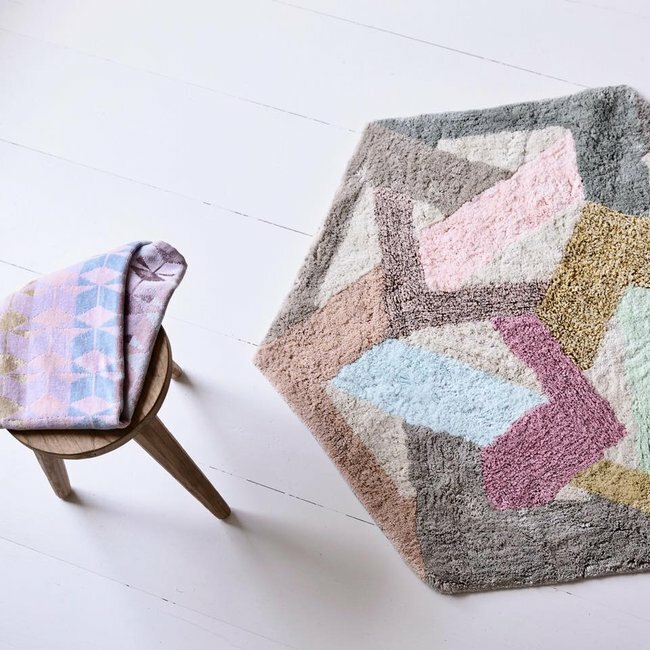 We also met the editor of US Instyle Magazine and she adored our rugs. Five months later they were featured in US Instyle Magazine to coincide with the launch of our brand in the US. It was the perfect example of the upside of a disaster. Finding the right people to partner with that you can trust, rely on and that share your same standards and vision. We use the Xero accounting software and have a book keeper take care of our financial recordings. Our website is based on the Shopify platform, which is integrated with our warehouses. Dropbox is hands-down the best way to securely share and access files with just about anyone. The monthly subscription is more than worth it. Square is the best way to take any card payments at warehouse and pop-up events. Firstly, I acknowledge that these situations are not going to stop. Ever. My to-do list helps and I make sure I knock off the things that I dread doing first or else they hang over my head like a dark cloud. I change up my routine. I am aware of the things that energise me and those that deflate me, so I will make an effort to do more things that energise me. How many hours a day do you work on Ziporah Lifestyle? Has this changed? Too many! I am afraid to count the hours. Let&apos;s just say it is rare for a computer to NOT be in front of me or a phone in my hand. I work off a to-do list every day. It keeps me on top of things and helps me feel a sense of achievement at the end of each day, which is very important when working from home. Daily exercise, school pick up and drop off, attending school functions, kids night time routine and an awesome holiday booked in each year. It is hard to switch off and there is always something to do. Brands take time to build and there are many times when money going out significantly outweighs money coming in. Good things come to those who wait and you need to be prepared to wait longer than you think. 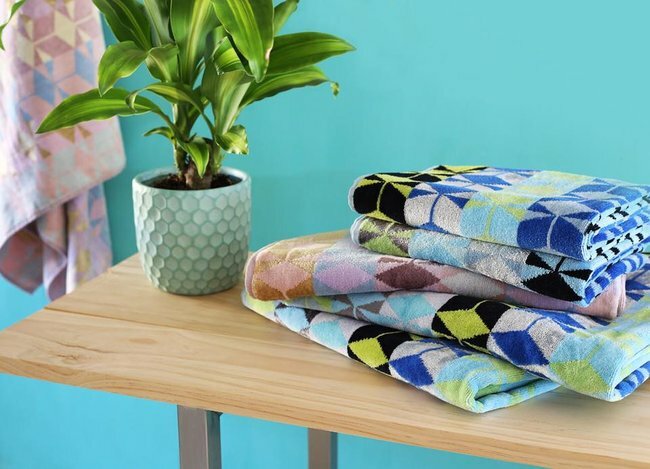 When a stranger takes the time to write a review to tell us how much they love our towels. In addition to Ziporah Lifestyle, I also have a part-time consulting business that focuses on strategy execution and personality profiling in the workplace. I also sit on the local school board and am actively involved in school fundraising activities. I have a husband and two children, a 12-year-old son and a seven-year-old daughter. They are my supporters and my rocks. Connect with people who have the experience that you want. Find a great mentor who has the skills you need. Have your dreams but have contingencies in place too. Provide support to other women who ask for it. Don&apos;t hold on to anger and negativity for too long. Work through it and let it go. Know your strengths and weaknesses. These will change as you grow. Don&apos;t be afraid to ask for help where you need it most. Acacia Shipping and Logistics. Marni Clarke built her business around helping other small businesses navigate the confusing world of international shipping and logistics. The Greater Good Project. Rebecca Summits is building a global movement of people who want to make a positive difference in our world. She shows how easy it is to live consciously and help those less fortunate. Whether it&apos;s about reducing my household waste, donating handbags to homeless women, choosing ethically made products of saving the bees, it&apos;s all about being kinder to people and the planet.